That's no surprise. Part of your brain is wired toward helping others. When you help, your brain releases the "happiness trifecta," a combination of dopamine, serotonin, and oxytocin, which boosts your mood, movement, and motivation. 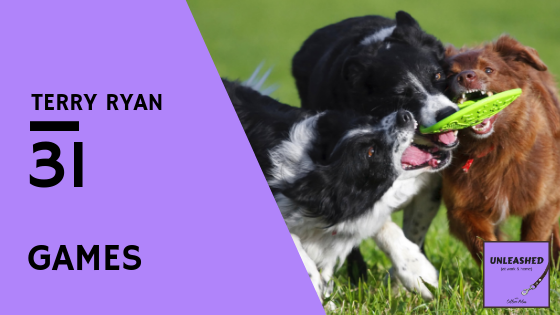 Perhaps you say, "I help pets stay healthy, so they can have long, happy lives," or maybe, "I help people better understand their dogs, so their training is more effective." Whatever it is that you do, odds are that you are helping improve a situation for someone else. That's your purpose. Now to be clear, I don't think it's your obligation to help others. Having a purpose fills you up; feeling obligated drags you down. It's important to understand the difference so you can make real-time adjustments to protect your mood, motivation, and boundaries. Zach Mercurio, author of The Invisible Leader, also distinguishes between "being purposeful" and searching for your magical, mystical, capital-P Purpose. It's okay to not be fully clear on your Purpose right now. But it's worth thinking about. Start with this question: What is my contribution? Purpose often reveals itself in moments of stress or crisis. When things are challenging at work, what do you do that helps make them better? How does your participation change things? What problems do you solve? When things don't turn out as you hoped, take time for reflection to uncover learning opportunities and opportunities for growth. If I were feeling my purpose, what would I be doing? If I were feeling my purpose, what would I be thinking? How can I do that today? The create a simple scorecard to track your progress. These two minutes of thought and intention can reframe your whole day. If you enjoyed this episode, you'll be sure to like this episode with Fiia Jokela on empathy! When I thought about the topic of trust, the person I most wanted to talk with was horse trainer Alexandra Kurland. It seemed to me that establishing trust would be a primary goal for any trainer working with an animal that outweighs you by a thousand pounds or so. Right at the start of the conversation, Alexandra challenged the idea of trust as an inherently good thing. Trust can simply mean that something can be relied upon, which could mean reliably good or reliably bad. So true. That was just the start of our meandering conversation through the world of trust, poisoned cues, mixed consequences, and shifting emotional responses. In the end, it came down to "trust the process" of effective training. Know that by using positive reinforcement, you are increasing certainty, predictability, control, and stability--all of which will help you change your responses. Alexandra is known for her ground-breaking work with clicker training horses. She' s a a member of the faculty of ClickerExpo, and you can learn more about her work--and her courses, books, and DVDs--on her website. 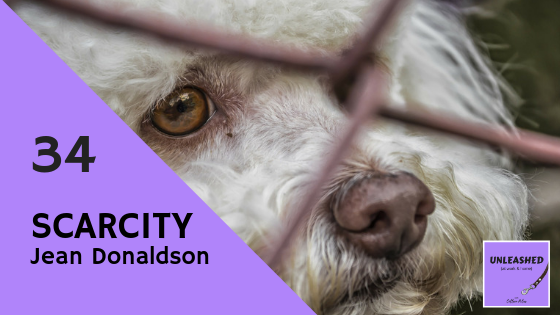 If you found this episode engaging, you'll love this episode on second chances with Kim Imel! Control is a sticky, tricky subject. To be called "controlling" is bad. Yet it's normal to want to exert some control over your life and circumstances. Where's the line? ​How do you know when you are trying to control too much? Can you tell when you're straying over the line into wanting to control something that you don't have the ​ability--or right--to control? 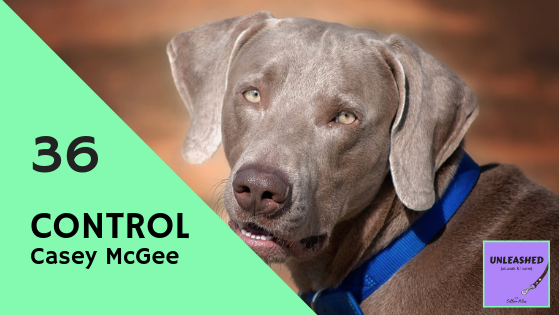 I invited Casey McGee, owner of Upward Hound Dog Training and administrator of the Academy for Dog Trainers, to talk with me about control. Before she became a dog trainer, Casey ran court-ordered groups for men convicted of felony or misdemeanor battery. ​As she describes it, control is "a means to an end that I feel entitled to." It's the entitlement piece that can trip you up. It implies a very clear definition of a desired outcome, one you really want to hold onto. What will you do to get it/keep it? What permission will you give yourself to achieve it? In the case of abusive spouses, ​they ​feel entitled to control their partner's behavior. In dog training​, there are trainers who use heavy-handed techniques because they "need to ​know the dog will always do it right." ​Abusive partners and force-based trainers are more extreme examples of control. Smaller ​instances crop up in your day-to-day life. ​Have you ever worked for a micromanager? Met a person who needs to have everything just so? Dealt with a client who made unreasonable demands? Control, control, control. ​Perhaps there are a few areas in your life where you are attempting to control things that are out of your control. The truth is, you don't have nearly as much control as you might like, but learning to use it wisely will lead to greater peace of mind and better outcomes. If you think that you are teetering on the edge of being "controlling" in certain areas of your life, learning to hear your judgments and reframe your thoughts is a great way to turn things around. ​If you cross the line into behavior you don't like, ask yourself, "​What made me think it was okay to do that?" That will help you identify the entitlement piece of the puzzle. From there, identify ​an alternative behavior and practice it! And the flip side of this is, if you find yourself dealing with a ​person who is trying to exert control over you in safe but annoying ways, carefully consider your options and establish boundaries. An UNLEASHED Resilience Group can help with that. Small changes in how you respond can make a big difference. Do you judge yourself more harshly than you judge anyone else? Are you aware of the judgments as they occur? Do you hear the things you are thinking and saying about yourself? Often you don't. Often you spend your day noticing everything that went wrong--both what you did wrong and what other people did wrong. But you aren't consciously noticing the harsh judgment of your mind chatter. Our brains have a negativity bias. They're wired to be perpetually on the hunt for bad stuff. And guess what? They find it! ​Sandy Weaver talked with Colleen Pelar about judgment and its effect on our lives. Sandy works with organizations that want to ​help their employees grow because that improves the profitability and performance. And she's also a dog show judge. She's a perfect fit for this topic. Judgment is not inherently bad. It's great to have a set of criteria that you can measure performance against. But you need to be sure that you are using criteria that feels meaningful and appropriate to you. Ask yourself if the judgment thought helps you learn, grow, or feel better? Has the judgment pointed out something that is against your core values? ​The the judgment doesn't help you move forward in a positive way, then it's likely that you are using the wrong criteria. Taking time to explore your core values and how you want to show up in the world ​will change your thoughts, feelings, and actions. It'll give you greater self-compassion and greater empathy for others. And it will help quiet that negative judgy voice in your head. What a relief! If you enjoyed this episode, be sure to check out the one on ​self-compassion with Michele Gaspar! Leave an honest review on iTunes/Apple Podcasts. Your ratings and reviews really help, and I read each one. ​​Scarcity. What happens when you feel there isn't enough of something? When you want to grab hold and not let go? When you are constantly seeking more-more-more or anxious that someone else may try to take something from you? Feelings of desperation and overwhelm can swamp you and leave you feeling cranky, exhausted, and depleted. We talked about how easy it is for vets, veterinary nurses, dog trainers, and other pet professionals can be come drained. You get sucked into a vortex in which there's a huge demand for your time and attention--just so much NEED!--and there's not enough of you to go around. ​Too often you prioritize others' needs over your own, but it's vital to make sure you are giving yourself what Jean described as "rock-bottom basic care." Making sure you are eating right, getting enough sleep and exercise, and ​strengthening the connections with people who support and energize you. Next you need to find the resilience activities that fill you back up. Ideally something completely unrelated to animals. This gives your brain a chance to process and generate new ideas. ​​Don't have a hobby? No idea what to do? Here's a link to a handy assessment that can help you figure out what's most likely to work for you. Then you need to look at what pieces of the work you thrive on. Focus your energy and efforts on those. That's where you'll get the biggest bang for your buck. ​Our brains are wired to make negative experiences more powerful and memorable than positive experiences. That's awesome from evolutionary terms, but not really so great for our enjoyment. However, luckily for you, there is a technique called savoring that, specifically and deliberately applied, can help you take positive experiences and make them deeper, richer, and more lasting. So savoring uses four elements. There's luxuriating, which is sensory pleasure. There's basking, which is pride. There's marveling, which is awe, and there's gratitude--thanksgiving, which is gratitude. 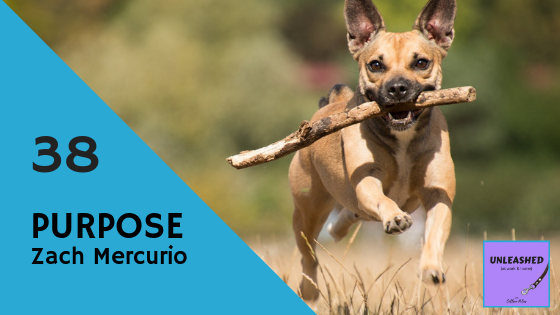 In a recent coaching conversation, I was talking to a dog trainer about a about her her most recent appointment with a client that had gone very well. She was really happy with it. The client was a six-month-old labrador mix, and he was really just starting to catch on. And so we were using these elements of savoring to help her build upon this experience and have it be something that she could use moving forward. So we started with sensory and I asked her what felt great in that experience, just in the in the actual physical experience of it. And she said, "Well, I mean, what is better than looking at a puppy and touching a puppy? Just from a sensory level, petting a puppy and watching a puppy, there's so much joy there." I said, "Super. Okay, so let's talk about marveling. What was awe? Where were your moments where you just were sort of sparked?" And she said she had awe when she could see the little light bulb go on for this puppy, that it just warmed her from the inside. She was amazed at how well timing of rewards can help a brain learn. She said it's just a fascinating concept that she, as someone outside the family, can come in and make a few connections between people and their dog that that creates their communication. And she said she just loves that. So it created this sense of awe for her. And I said, "Okay. Well, let's talk about thanksgiving." And she said, "Well I'm so grateful to have this awesome client and I have so many great clients that I really appreciate them. But honestly, sometimes I forget. Because the ones who drain my energy don't always feed me the same way." I said, "Yes, but let's talk about this client. What about this client makes you so happy?" And she said, "Well, I'm really grateful that they love their dog." And I said, "Yeah, isn't that what we want? And we don't want all people to really love their pets the way we really think pets should be loved?" And that such a wonderful feeling when we see that, and we're so happy for the animal and we're happy for the people. We're happy for the world. It just works out great. And so then we went with that final element of basking, which is pride, and sometimes that one's a little bit tough for people because we sometimes hold back a little and think maybe it's wrong or egotistical to show a little bit of pride. But because I led her through these steps already there were multiple moments of pride that I could point out to her even when she was a little uncomfortable. 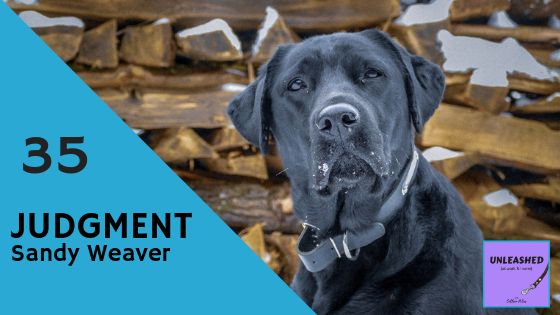 She made great connections with her clients, both human and canine. She made a difference. And she was really happy and engaged and lit up. And those are the result of her work, and her effort, and her years of training and experience. She had a lot to be proud of there. So I encourage you to think about these elements: luxuriating, which is pleasure; thanksgiving, which is gratitude; marveling, which is a sense of awe; and basking, the sense of pride. Find where you can think about those elements in your at work and see if that doesn't enhance your experience. Until next time. Have a great day. Not sure how to move forward? ​Why not give me a call? In your free, 20-minute session, we'll explore ways to boost your levels of fun and productivity. What do you like to do outside of work? What are the activities that fill you up? What gives your brain a break from all those thoughts you're thinking? For me, It's Pilates. I've been taking Pilates for two years now and it's hard. Really hard. And in every class, the instructor asked me to do things that are just at the edge of my abilities. They're hard for me to do well. I really have to concentrate. All my focus and all my rubbery muscles are dedicated to the task of trying, not necessarily succeeding, but trying to do what I've been asked. When I leave class, my body is tired and my mind is so much quieter. There's a reason for that. There's a reason your brain feels better when you take a break. Our brains were designed to solve problems related to survival in an outdoor environment in nearly constant motion. Those pieces don't really apply to modern life, do they? Most of the time we're trying to solve problems that are not related to survival in an indoor environment while sitting still. Bad plan. That's why a walk makes you feel better. That's why we pace in hospitals. Movement helps us process thoughts and emotions. But your downtime doesn't have to include a physical activity to be in beneficial. It could be reading or pottery or building Lego kits. It surprises me how many people don't have a favorite activity that they can turn to. I think as adults, we sometimes think we need to be serious and we don't have time for something as seemingly frivolous as fun. When I ask my clients, "What do you like to do in your spare time?" They say, "What spare time?" I get it. But here's the thing, carving out a little time to focus on something entirely unrelated to your work will give you more energy, more enthusiasm, and a clearer vision of what to do. We've all had that moment of brilliant inspiration when you go take a shower and suddenly, you know the answer to the problem you've been wrestling with. That's not magic. That's you giving your brain what it needs to function at its best. If you don't have a hobby or favorite activity, I encourage you to find one. Think back to what you really loved doing when you were a kid, are there any pieces of that that you could incorporate? What about coloring? Or could you join a basketball league? Could you build model airplanes? Taking time to do this really is one of the best investments you can possibly make in your mental health and your life satisfaction. I can't wait to hear what you choose to do. Send me some photos of what you've made or what you've done. I'd really love to see. ​​Do you find meaning in your work? ​Understanding and ​really feeling the impact you make on on the world shapes your perspective and makes you feel more fulfilled. 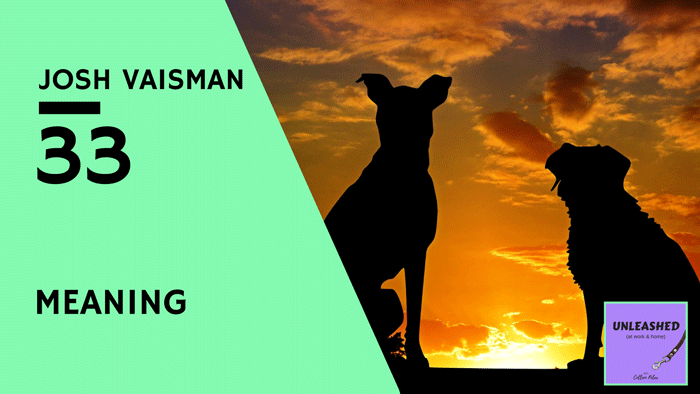 ​Josh Vaisman of Flourish Veterinary Consulting​ saying meaning ​is not prescriptive; it can't be given to you. Often it's easy to get bogged down in your day-to-day, repetitive tasks and lose sight of how they fit into the big picture. When you don't have a sense ​why​ you're doing the work​​​, you're more likely to focus on just getting stuff done​. This undermines your motivation to do ​your work carefully, thoughtfully, and intentionally. Josh is a fan on using a "contribution practice" to keep meaning in the forefront of his mind. Each day he asks himself, "How did I make a difference for someone else today?" Taking time to notice the effects your work has on others can be a powerful way to feel the impact of your work and to find your sense of meaning. So, tell me, how did you make a difference for someone else today? I'm dying to hear! 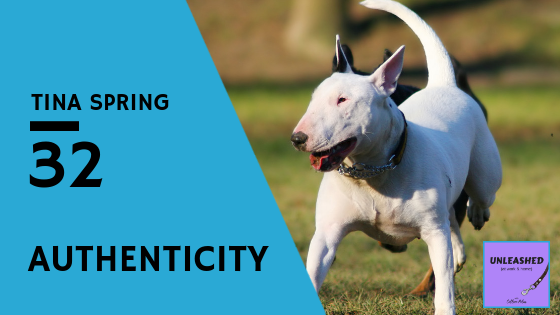 ​What does authenticity mean to you? What would happen if you dropped your armor and showed up as your real self ... with all your faults and foibles? ​Does ​that idea make you feel uncomfortable? Why do you think that is? What could you do to make it easier? 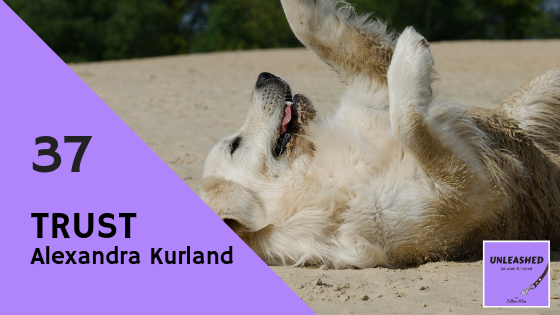 ​I had an awesome conversation with Tina Spring of Sit Happens Dog Training and Behavior about authenticity and the ​amazing growth that happens when you let down your guard and give yourself permission to be you, just as you are. ​There's magic there. You see it in other people. You often don't ​warm up to a person until you see a flaw. That flaw makes the other person seem real, approachable, interesting. ​Do you struggle with the flip side? ​Are you spending all your time trying to be fit someone else's idea of how you "should" be? Shoulds are dangerous. They make you resentful and lonely. ​Listen in to this great conversation--you are going to laugh out loud!--and then tell me how you are sharing your own unique awesome self with the world today. I can't wait to hear. ​Why do we play games? What purpose do they serve? Have you ever wondered about that? Terry Ryan is the co-owner of Legacy Canine and has been teaching dog training classes since 1968. Yep, you read that right. She's got a wealth of experience in helping people successfully learn new skills. And you know what she discovered? Games make learning feel safer and more fun. ​Those two variables--safety and fun--matter more than you think in almost every area of your life. If you feel uncomfortable in an environment or with a particular person, are you likely to show up as your best self? Will you stretch yourself to learn more or stick with what you already know? Nope! You'll play small. You'll hold back a bit to avoid drawing any negative attention rather than throwing yourself in wholeheartedly. And fun, what does fun do? Positive emotions broaden and build. When you have fun, you are kinder, more generous, more creative, more open, and more productive. Awesome, right? ​What makes you feel safe? How can you get more of that? What's your idea of fun? How can you get more of that? How would your life be different if you felt safe and had more fun? 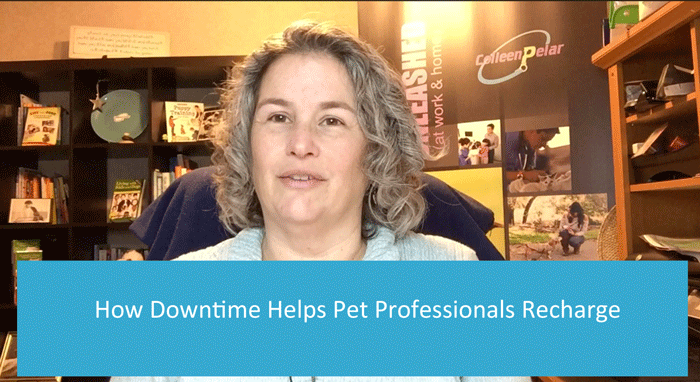 Helping veterinarians, vet techs, and other animal-care professionals feel valued, supported, and energized through resilience programs designed to combat burnout and compassion fatigue. Stay informed of the latest tools and tips.